refutation systems (Refutation Symposium 2018, 14–15.09.2018). We invite proposals for contributed talks. Please submit an extended abstract of max. 1.000 words, including references, prepared for blind review. As a first key-word, please indicate the event you want to submit your work to (GaR, L&C or RS). Please use the standard article LaTeX class for abstracts with plain bibliography style, or draft in 12 point font, 1.5 line spacing, with 3 cm margins, using your preferred text editor. (Please note that accepted abstracts should eventually be submitted in LaTeX, for which help will be available.) Please submit via EasyChair: https://easychair.org/conferences/?conf=prw2018. 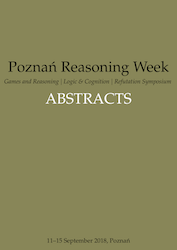 Authors of the accepted abstracts will be invited to submit their original research for publication in a special volume in the Studies in Logic series by College Publications. Papers must be in the order of 6.000 to 8.000 words (including references), and must address one or more of the conference themes, whether from an empirical or a more conceptual perspective. Participation in the PRW 2018 events is free, however we ask you to register. Participants from countries with underfunded academic institutions are invited to apply for a financial support (travelling costs refund, accommodation support). All correspondence concerning the financial support should be directed to Pawel.Lupkowski[AT]amu.edu.pl. 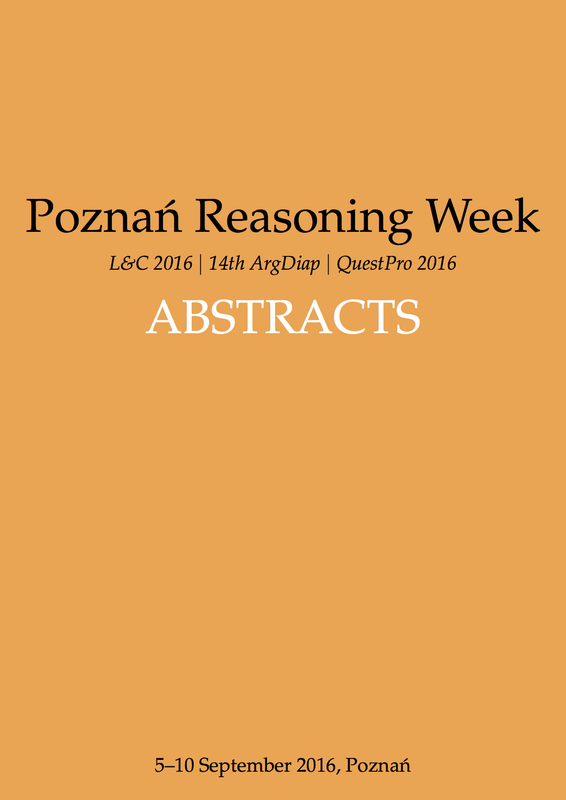 All questions concerning submissions should be emailed to natalia.zyluk[AT]amu.edu.pl.